On the eve of Swami Vivekanand Jayanti, people commemorate and celebrate the birth of Swami Vivekananda. As per the Gregorian calendar, the birth date of Swami Vivekananda is 12th of January, 1863. The particular day has been declared and celebrated as National Youth Day across India. Swami Vivekananda was a famous spiritual leader and Hindu monk of India. He was a huge patriot, a great orator and thinker as well as a spiritually minded individual. He carried on and worked with the great philosophy of his guru Ramakrishna. He founded the Belur Math, Ramakrishna Math and Ramakrishna Mission. Swami Vivekananda worked a lot for the betterment and development of the societies by serving the needy and poor people and devoting all his heart and mind in their service and upliftment. He was the one who was considered solely responsible for establishing Hinduism as a revered religion across the globe and also for strengthening of Hindu spiritualism. He thoroughly passed a message of self-awakening and universal brotherhood which still remains relevant around the world. Being a young monk, his sacred teachings were highly inspirational and significant which helped hundreds of thousands of people to work on their self-improvement and primarily for the youth of the country. Thus, his birthday is celebrated as National Youth Day in India. How is Swami Vivekananda Jayanti celebrated in India? There are a number of learnings and messages which were passed on by Swami Vivekananda and still those messages are preached in several regions across the nation. These messages and preaching should be followed in order to have a peaceful life and a developed society. It has been stated by Swami Vivekananda that even the wealth of the entire world cannot help a small village to grow and develop till the time the people residing there do not learn to help themselves. Hence, it is essential that one should gain both intellectual as well as moral education. According to him, theories are not enough. There is a need to attain practical education in life. He insisted to have a similar sort of education pattern in all the regions in order to solve the issues and therefore he also talked about the use of a common format and single system of education in India. 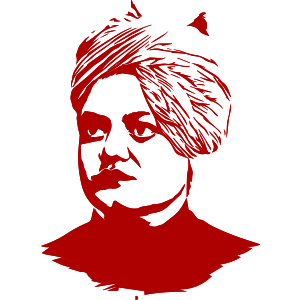 Swami Vivekananda taught the people about the disastrous effects of splitting and dividing based on caste or beliefs. Unity is a mantra which can solve all the problems of mankind and thus we must exist together, reward together, share together and work together to enhance the unity among all the people. One of the most sacred messages of Swami Vivekananda is to have faith in yourself. He believed that a person should first have firm belief in oneself and one’s aspirations before making the other people influence and convince to be a part of their mission. Having faith in one’s capability should be taught from childhood to every person. If some people acquire all the wealth and luxuries of life and do not help the one who is in need then such wealth is of no use. Swami Vivekananda passed a message that we should help the poor and needy in every way possible. The aim should be to reduce the gap between the rich and the poor. You have to grow from the inside out. No one can teach you, no one can make you spiritual. There is no other teacher but your own soul. He who sees Shiva in the poor, in the weak, and in the diseased, really worships Shiva. Talk to yourself once in a day… Otherwise, you may miss meeting an EXCELLENT person in this World.